Carnitas are little bits of crispy delicious pork that make the best tacos. 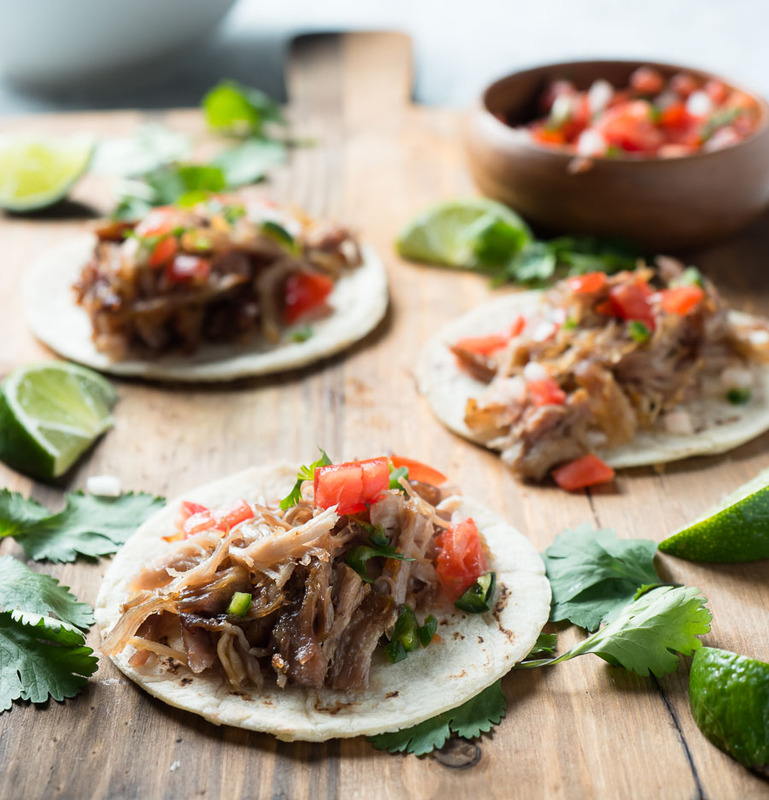 These are taqueria style carnitas you can make at home. 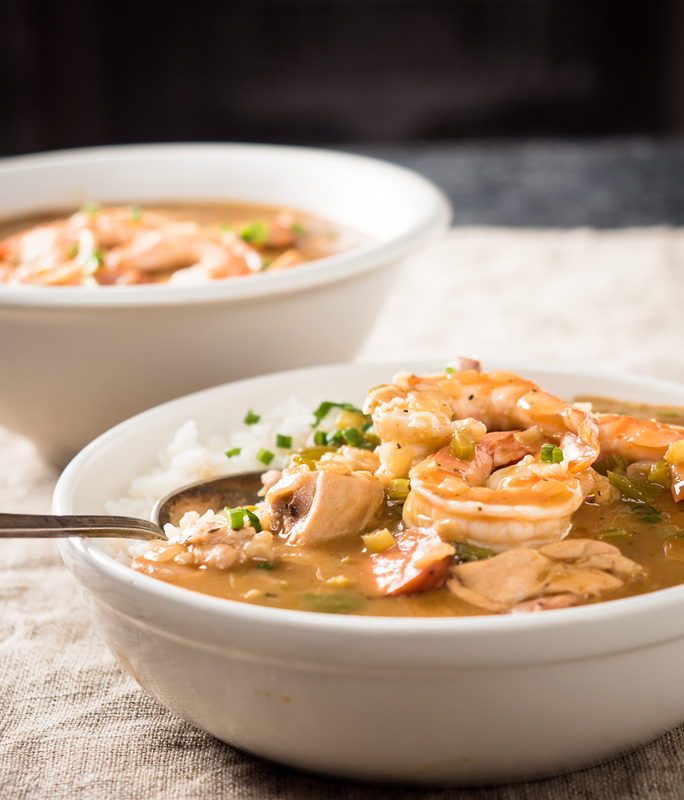 This is a rich, restaurant style gumbo. No holds barred. Maximum flavour. No shortcuts. Totally worth it. 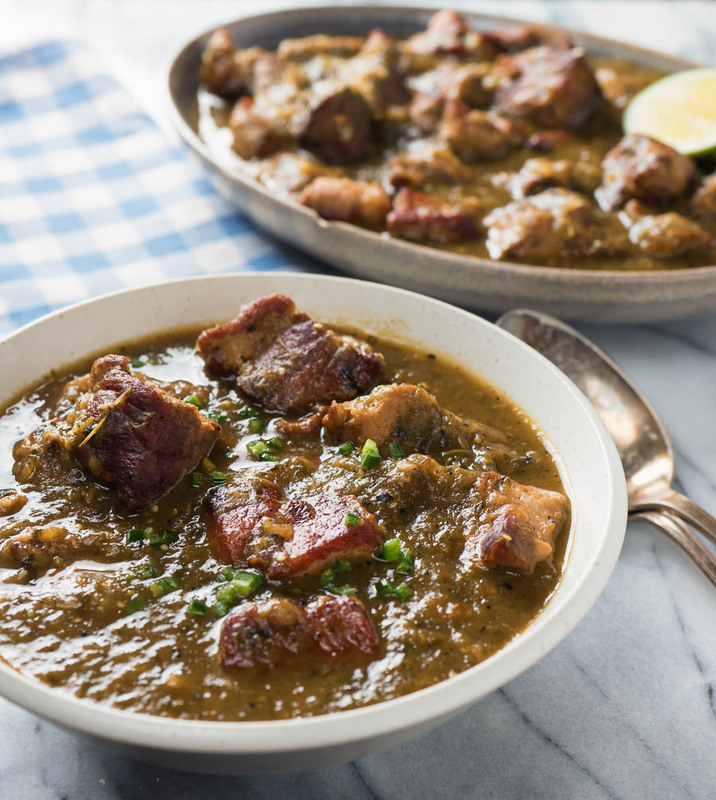 Gumbo for when you want to impress. Dinner party gumbo. Chili verde. Pork, tomatillos and green chilies jacked up by dry-roasted onion, garlic and jalapeño. One seriously delicious dish. I love bun cha. 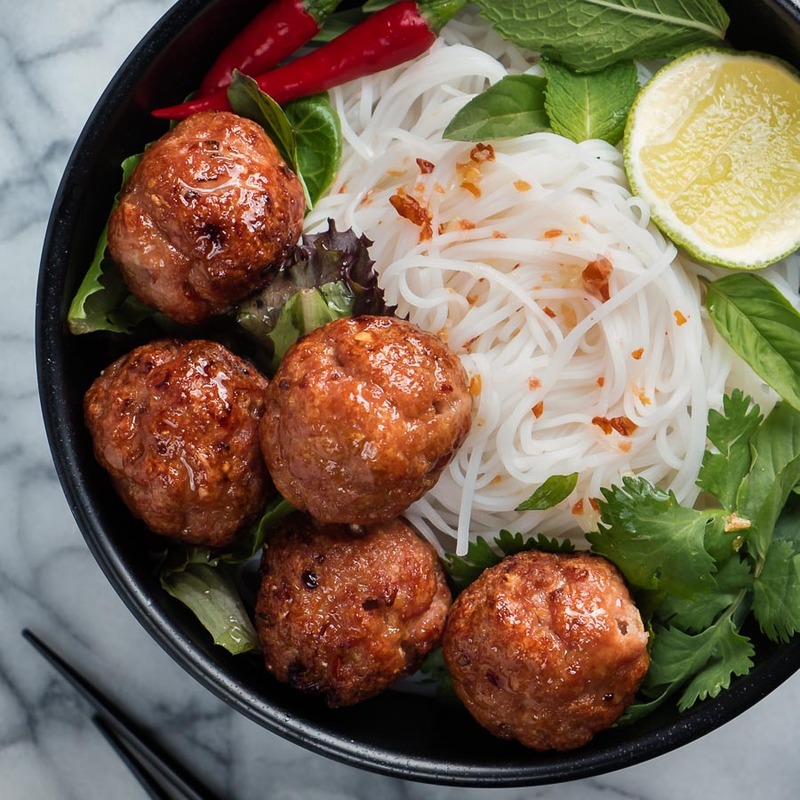 Vietnamese grilled pork and rice noodle salad. The moist and flavourful pork. The cool rice noodle and fresh herb salad. 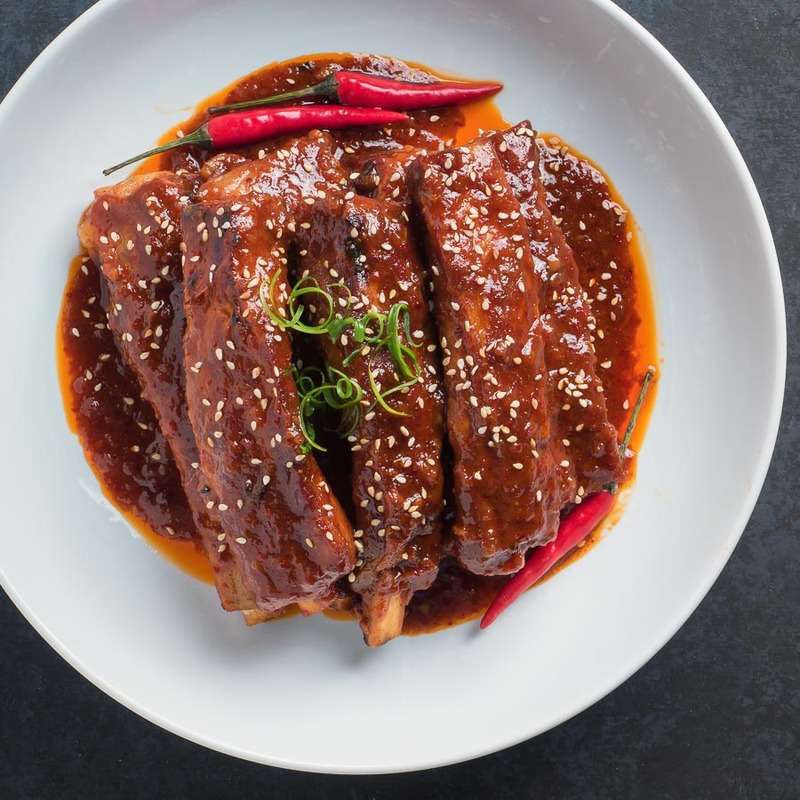 Korean braised pork ribs will make you forget you have a grill. Meltingly tender. Slightly sweet gochujang sauce. Just pork rib goodness. With a Korean twist. 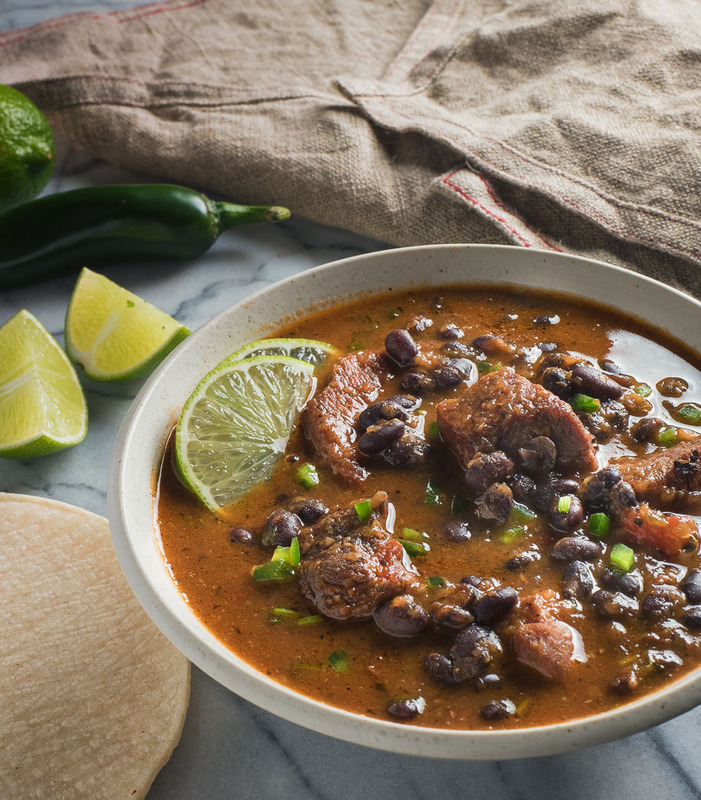 Mexican pork and black bean stew. This is one of those crazy satisfying recipes that insinuates itself into your list of favourites.